The Oceania boats have arrived in NL for the first time. Quality is second to none on these beautiful boats. They come with a 2019 Excalibur 4500 BT tandem axle boat trailer and currently priced with a 175 Envinrude G2 outboard motor. The Oceania 23 WA comes with a fully enclosed cockpit with sliding door which is great for the NL coast, LED lights, electric toilet with holding tank and Y valve, electric anchor windlass with foot controls, upgraded faux teak flooring, live well, fresh water wash down and many more great options. 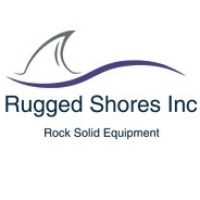 Contact Rugged Shores Inc at 18882322802 to view these beautiful boats and see the quality first hand.